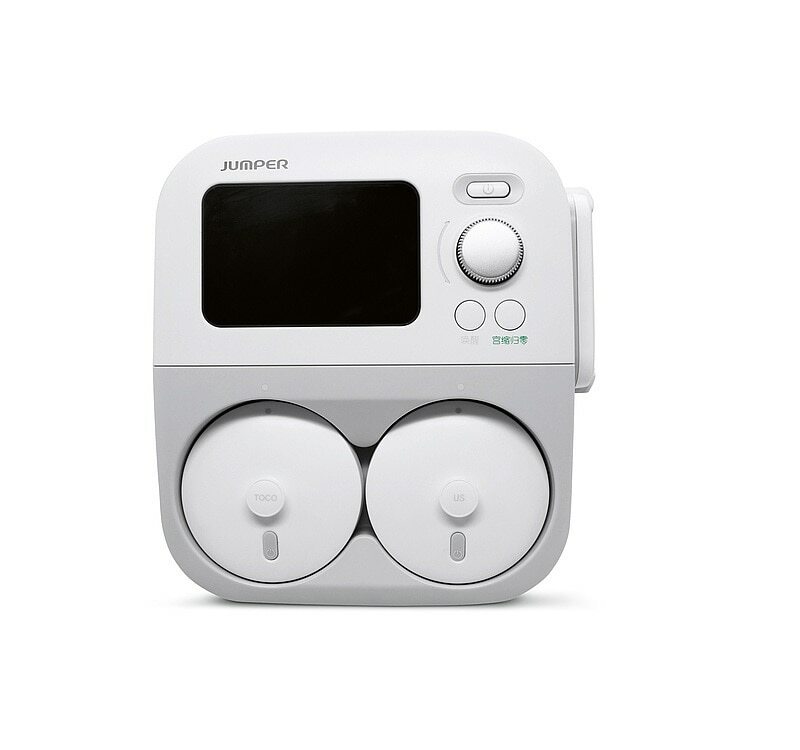 The portable and lightweight ultrasound fetal monitor JPD-300E simplifies work within medical facilities by transmitting vital data of the unborn child wirelessly via Bluetooth. 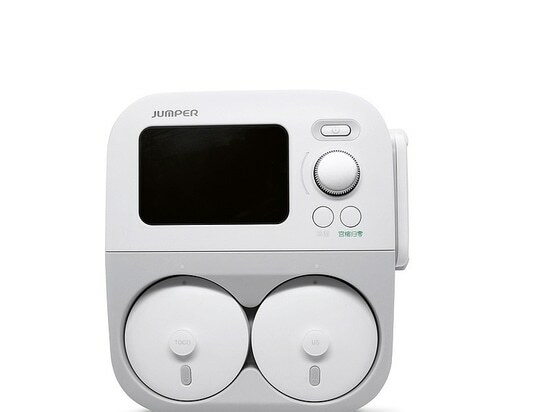 The system automatically connects to the server as soon as an ultrasound probe is removed from the device. When the probe is hung back in, it is automatically recharged and switches off when not in use, in order to increase battery life. The JPD-300E captivates with its soft design combined with a clear structure, which conveys an equally smooth and precise impression.